Eidos Montreal has been busy releasing a ton of new information about its upcoming Lara Croft adventure, Shadow of the Tomb Raider, ahead of its release in September. We’ve already seen the beloved protagonist’s combat tactics but if you’re craving some more action, then there are two new videos for you to check out. The brief trailer below showcases the game’s underwater environments, which will feature “vast” caverns and “deep” tunnel systems. Lara will, of course, be using them to her advantage. The second video is a bit more detailed, and shows Lara dropping dead bodies all over a jungle. Game Director Daniel Chayer-Bisson walks us through Lara’s survival skills and how she plans to take on Trinity solo. 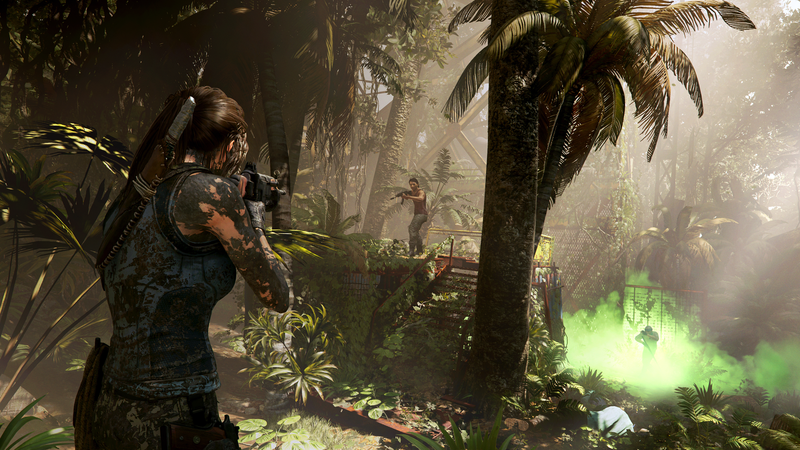 Shadow of the Tomb Raider is scheduled for release on September 14 for PlayStation 4, Xbox One, and PC. If you haven’t already, make sure to check out our recent hands-on preview in which we discuss the game’s difficulty settings, combat, and much more.